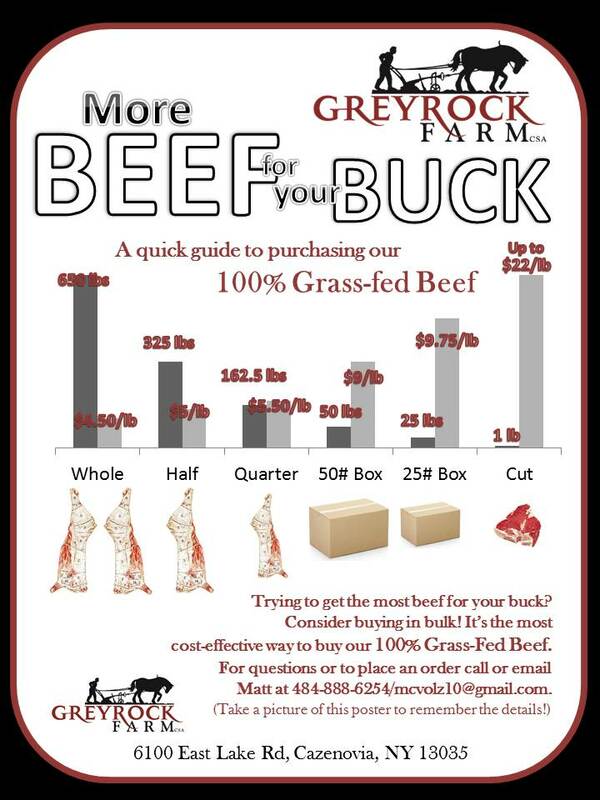 Want more Beef for Your Buck? Buy in Bulk! Please send your deposit along with your preferred month for receiving your portion. We will have portions available July through November. For whole animals, we ask for a deposit of $1000; for halves, $500; for quarters, $250.